LOS ANGELES Authorities are seeking a fired Los Angeles police officer suspected in the killings of two people, including a Cal State Fullerton assistant basketball coach whose father represented the suspect in front of a disciplinary board when he lost his job, police said Wednesday night. Police said Dorner implicated himself in the killings with a multi-page "manifesto" that he wrote that included threats against several people, but would give no further details on the document or its contents. CBS Los Angeles station KCBS says that, in the rambling manifesto, Dorner wrote, "I never had the opportunity to have a family of my own, I'm terminating yours." Police do not know Dorner's whereabouts, and authorities were seeking the public's help in finding the suspect. "We have strong cause to believe Dorner is armed and dangerous," Maggard said, adding that the LAPD and FBI are assisting in the case, and anyone who sees the suspect should immediately call 911. Autopsies showed both victims were killed by multiple gunshot wounds in the parking structure at their condominium in Irvine, Orange County sheriff's spokesman Jim Amormino said earlier Wednesday. Lawrence, the other victim, was a public safety officer at the University of Southern California. The killings brought mourning and disbelief at three college campuses, Fullerton, USC, and Concordia University, where the two met when they were both students and basketball players. Quan's father, Randal Quan, a former LAPD captain who became a lawyer in retirement, represented Dorner in front of the Board of Rights, a tribunal that ruled against Dorner at the time of his dismissal, LAPD Capt. William Hayes told The Associated Press Wednesday night. Randal Quan, who the LAPD said was the first Chinese-American captain in department history, retired in 2002. He later served as chief of police at Cal Poly Pomona and went on to practice law. 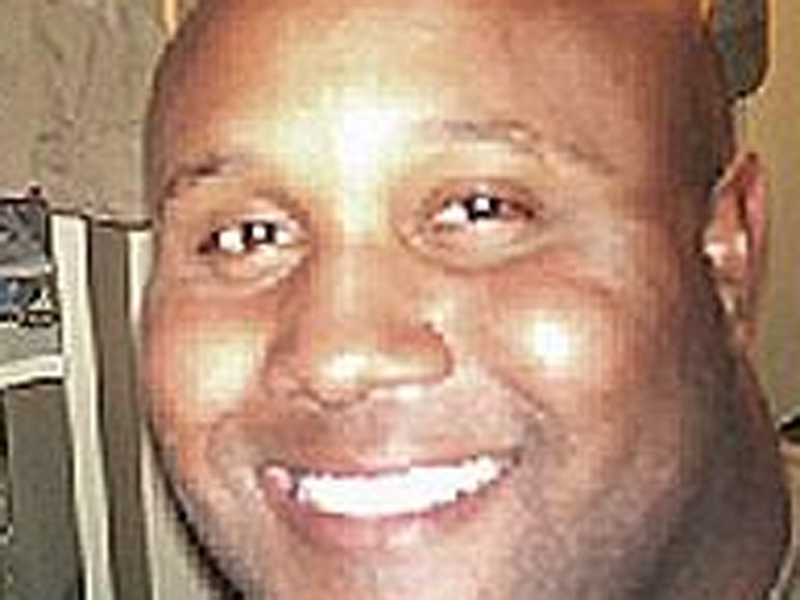 Police said Dorner's manifesto included threats against members of the LAPD. "We are looking at the manifesto and will do an assessment in terms of the threat against those listed in it, and determine what level of protection each of them will need," Hayes said. Police said he may be driving a blue, 2005 Nissan Titan pickup truck and his last known address was in La Palma, Calif., in northern Orange County near Fullerton. Richard Gettler, the schizophrenic man's father, gave testimony that supported Dorner's claim. After his son was returned on July 28, 2007, Richard Gettler asked "if he had been in a fight because his face was puffy" and his son responded that he was kicked twice in the chest by a police officer, he testified.